​Tottenham youngster Oliver Skipp has praised the abilities of central midfield partners Harry Winks and Moussa Sissoko, admitting their form has helped him adapt to life in the Premier League. 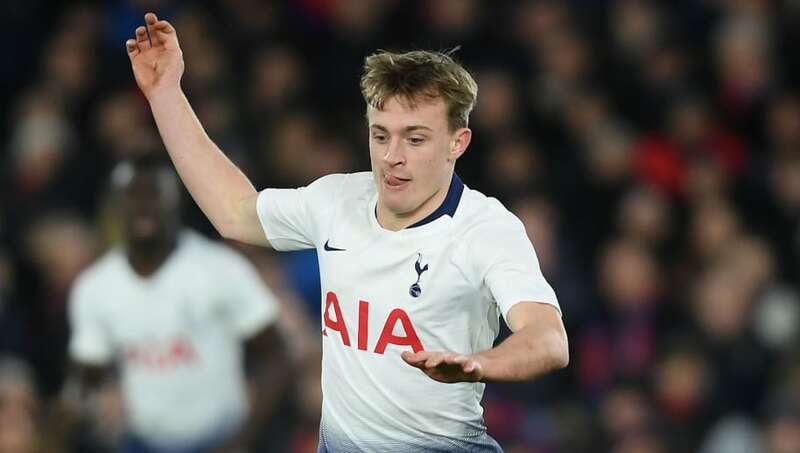 The 18-year-old, who has made 10 appearances for the Lilywhites this season, has impressed when called upon by manager Mauricio Pochettino and put in another good performance against Leicester on Sunday as he was handed a start in the heart of Tottenham's midfield. Speaking to ​Tottenham's official website in the aftermath of ​Spurs' hard-fought 3-1 win, Skipp praised his midfield partners for their tireless work during Sunday's victory, claiming they have made his transition into the first team that much easier. "It was really good and it's fantastic to play alongside players like that," Skipp began. "They make the job much easier and they're obviously in great form at the moment so it was nice to play in there with them." With Mousa Dembele departing the club to move to the Chinese Super League in January, additional first team opportunities have been afforded to Skipp and the youngster is thankful to manager Mauricio Pochettino for placing his faith in him. Skipp will hope that his short cameo appearances will eventually lead to a sustained run in Spurs' first team, but he may have to bide his time once Eric Dier and Victor Wanyama return from respective injury lay-offs.